Phase 2 of Istanbul’s fully automated metro line, M5, opened on 21 October. This line now runs from Üsküdar to Çekmeköy. It is 20km long and consists of 16 stations. Line M5 lies on the Anatolian side of Istanbul. 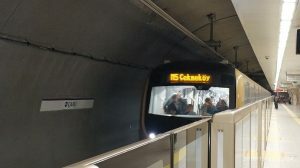 It connects to the Metrobus line and to the Marmaray tunnel which links the Anatolian and European sides. 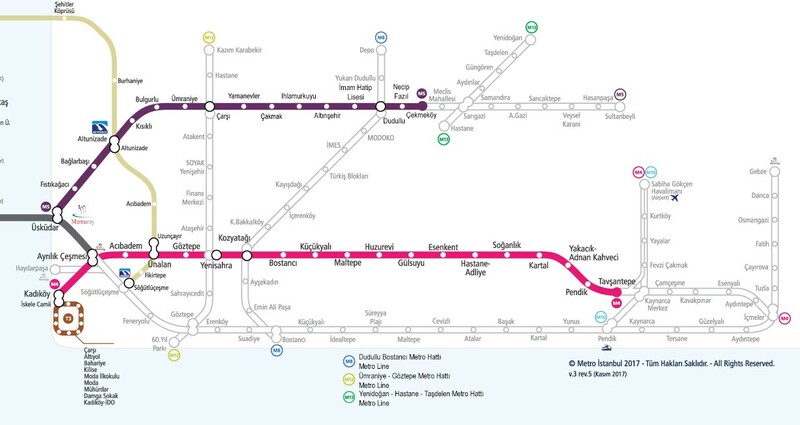 By 2023, M5 will also be linked to three metro lines: M8 (Dudullu-Bostancı), M12 (Göztepe-Ataşehir) and M13 (Hastane-Yenidoğan). The M5 line carried approximately 90,000 passengers/day until the recent extension; a figure which has risen to 200,000 after the opening of phase 2. All stations of M5 are underground and are equipped with half-size platform screen doors. They are all accessible for disabled passengers and comprise a total of 194 escalators and 62 elevators. The current stations are: Üsküdar, Fıstıkağacı, Bağlarbaşı, Altunizade, Kısıklı, Bulgurlu, Ümraniye, Çarşı, Yamanevler, Çakmak, Ihlamurkuyu, Altınşehir, İmam Hatip Lisesi, Dudullu, Necip Fazıl, Çekmeköy. The line has 26 six-car trains provided by a consortium of Mitsubishi and CAF. They are 130 meters long and can carry 1,620 passengers each. According to the figures of the UITP Observatory of Automated Metros, trains of Istanbul M5 have the highest capacity in Europe and the third highest capacity in the world (after the trains of the Circle line and the North East line in Singapore). The depot area is still under construction. Once completed, it will include an automatic car wash unit, the car maintenance and repair unit, the depot control centre and a power generator building. 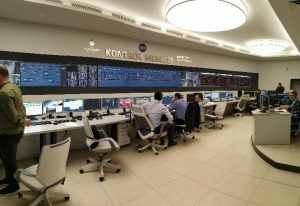 The operations control centre is deployed in S08-Çarşı station for now and consists of six systems including communications, depot traffic, vehicle traffic, TCC, SCADA and supervisor.